One of the cosiest winter season desserts I know is Apple Crumble. It also happens to be a dessert that reduces waste as you can make it with apples (or blackberries, peaches, rhubarb, gooseberry, pears and plums) reaching their last days. 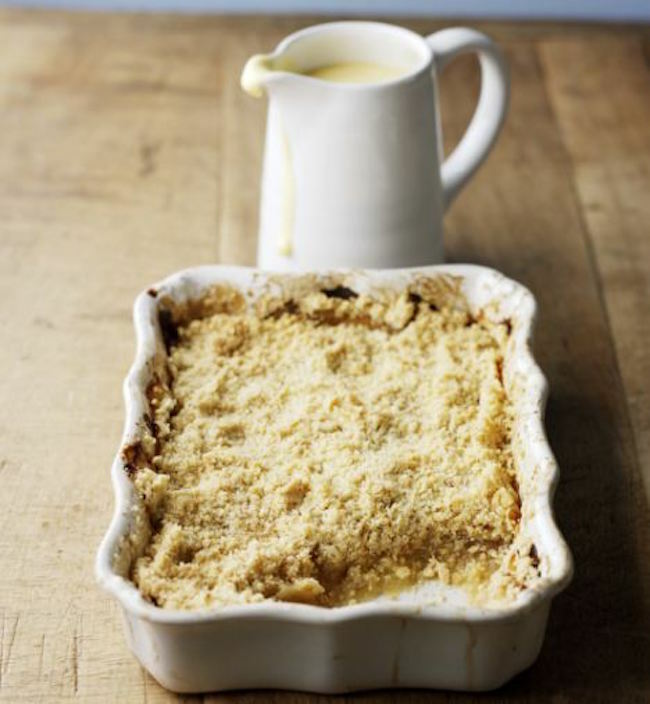 Crumble became popular during World War II when pastry ingredients became short due to rationing. It was an economical alternative to pie which could be made with breadcrumbs or oats instead of rationed flower, fat and sugar. 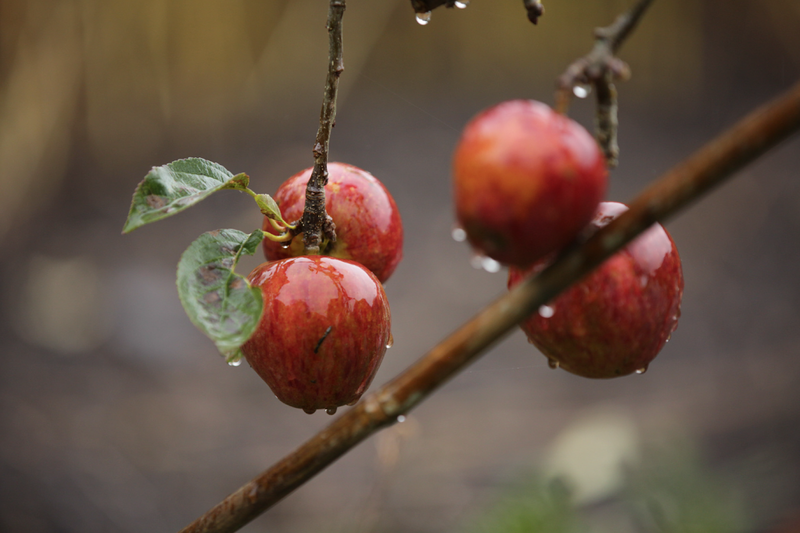 When I visited Dean's Court this fall for a photoshoot they served me an apple crumble, made with apples from their orchard (pictured below), that rivalled THE crumble I love most in the world, made by my mama. It's a super simple dessert and can be sustainably sourced by choosing any fruits in season and can be adjusted for vegans, celiacs and just about every other dietary or diet need. Place the flour and sugar in a large bowl and mix er up. Add in bits of butter, rubbing them into the flower mixture. Keep adding and mixing until the combo resembles breadcrumbs, sprinkle in about two teaspoon of the brown sugar and a squeeze of lemon if you have it. Place the apples in a large bowl and sprinkle over the sugar, flour and cinnamon. Stir well being careful not to break up the fruit. Butter an ovenproof dish. Spoon the fruit mixture into the bottom and sprinkle the crumble mixture on top. Bake in the oven for 40-45 minutes until the crumble is browned and the fruit mixture bubbling.